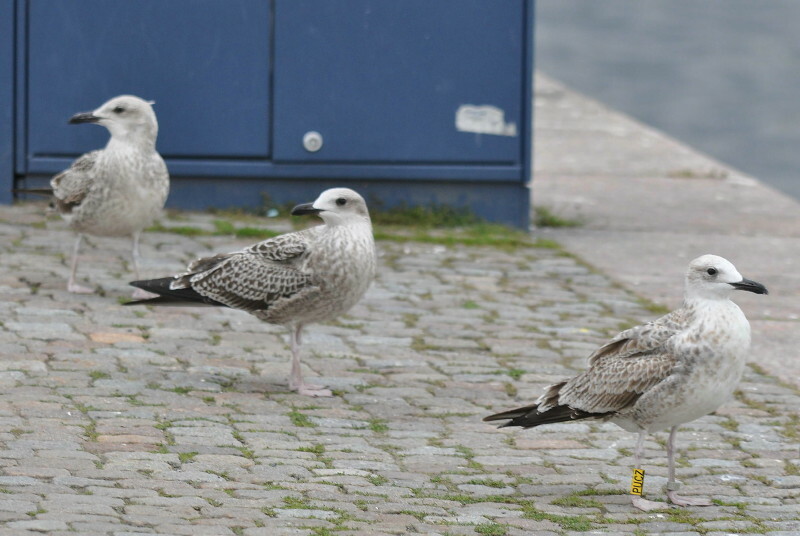 Larus cachinnans 1CY PUCZ September 14 2010, Skeppsbron, Sweden. 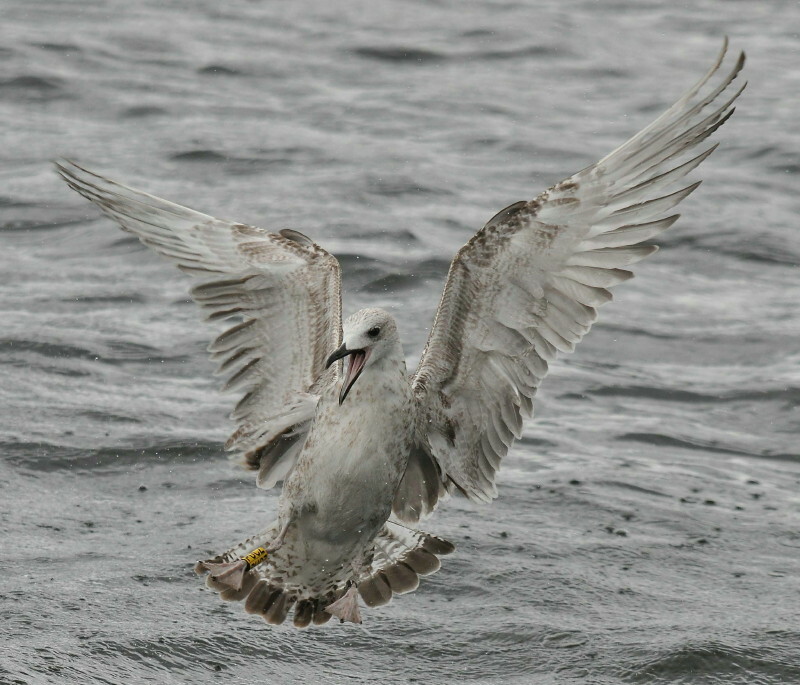 Picture: Alan Dalton. 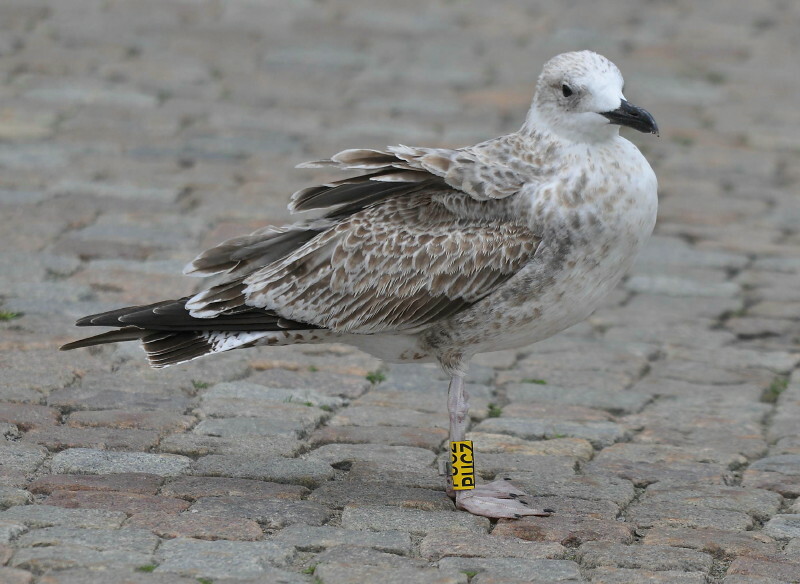 Yellow PUCZ, ringed as pullus on June 05 2010, at Cherkasy Kreminchuk reservoir, Ukraine (49,4 32,15). 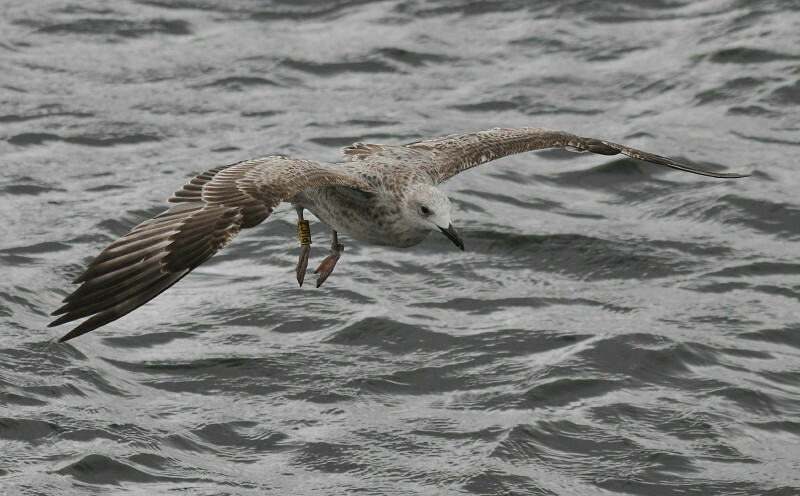 Note the bill shape, long and slender without a pronounced angled at the gonys. 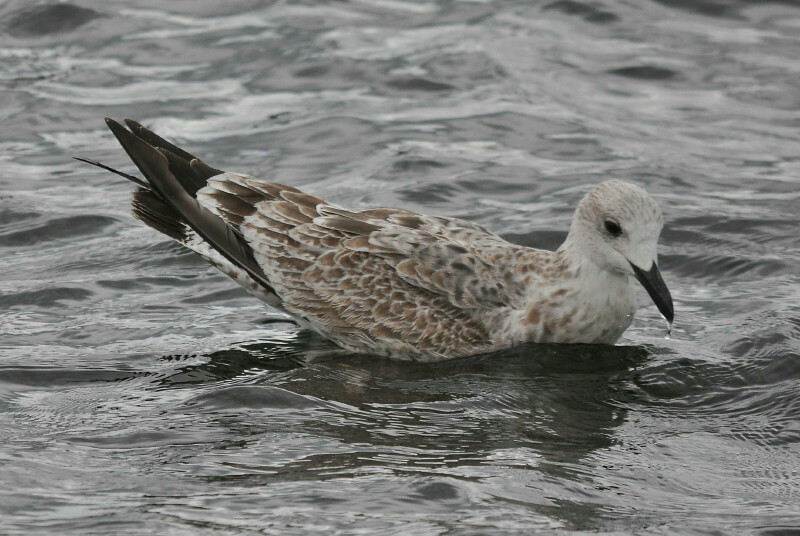 A slight dark smudge about the eye on a pale, small head. 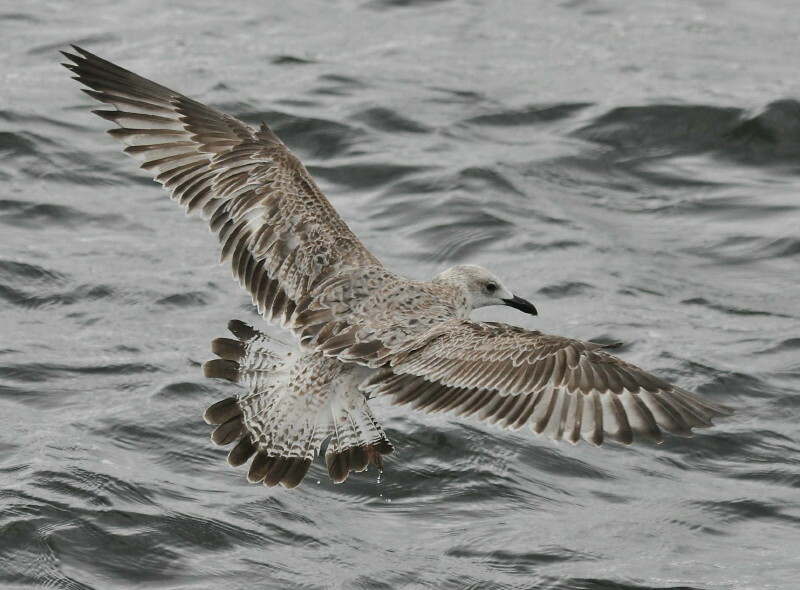 Some markings are obvious on the breast sides and flanks. 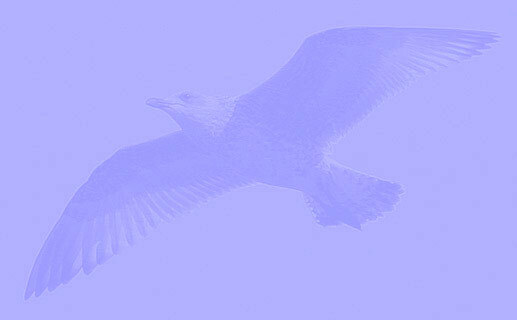 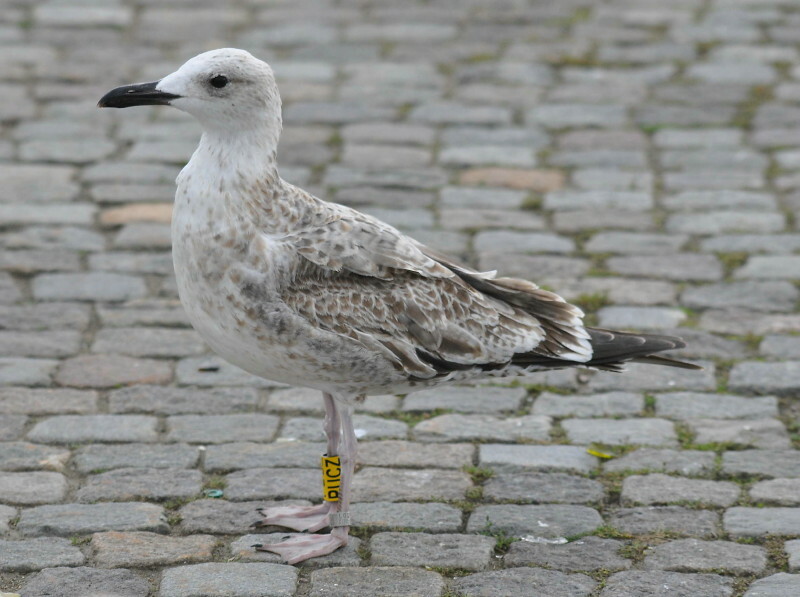 The anvanced moult is a key feature, this bird was far ahead of the local gulls in this regard. 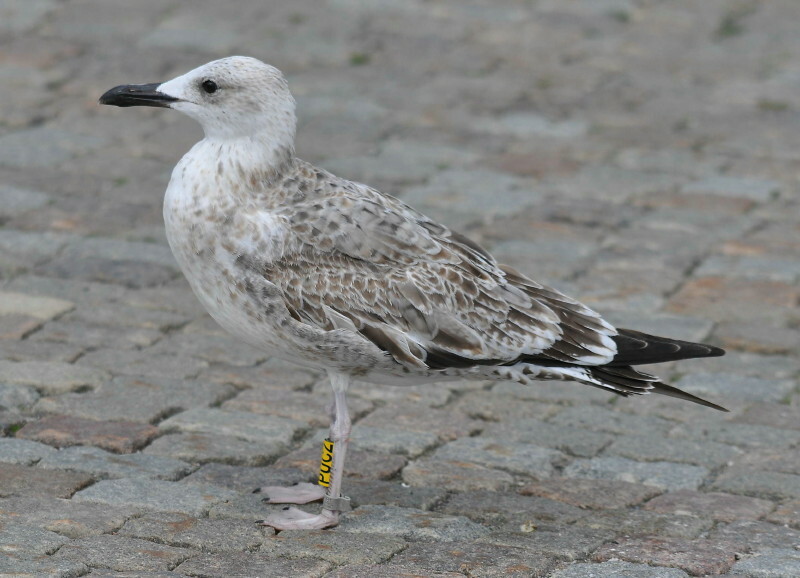 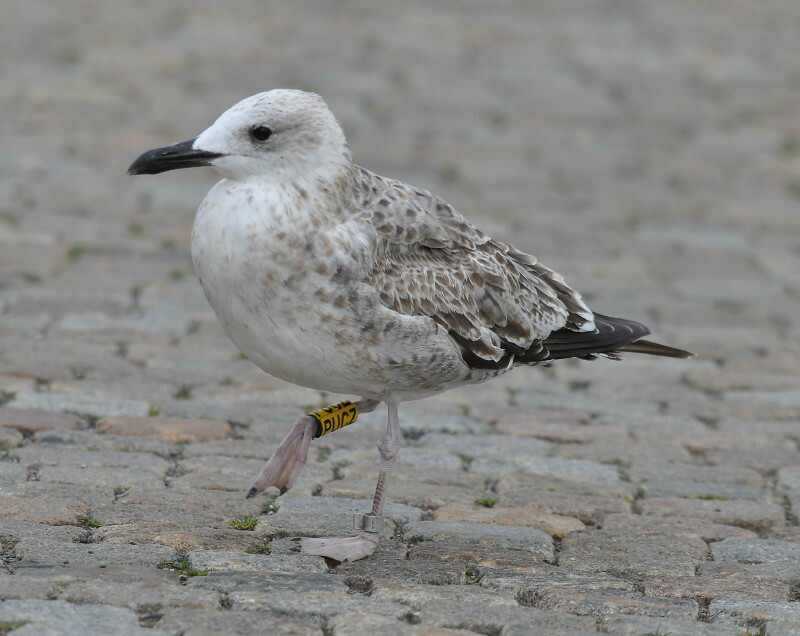 Note the new mantle and scapular feathers, the arrow head centre marking very different to those of Herring Gull. 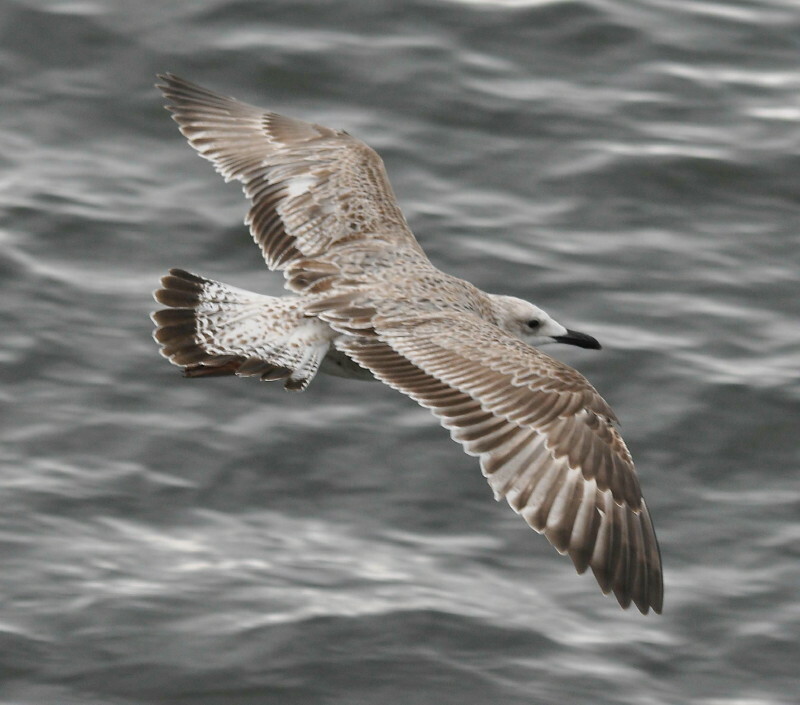 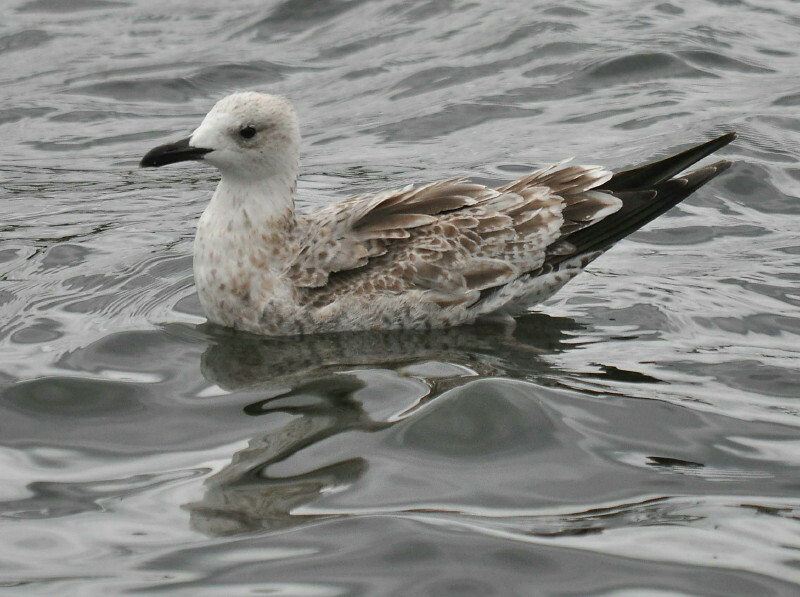 The dark chocalate brown centres to the tertials, with white fringes are classic Caspian Gull.